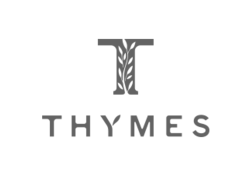 Artisan Crafted Fragrances For Bath & Home: Thymes has been a much-loved brand of body care and home fragrance for over thirty years. Thymes scents include perennial favorites like Eucalyptus, Goldleaf, and Frazier Fir (a must-have each winter, if not year-round) but we also love the warm, complex Lotus Santal and the fresh, citrusy Mandarin Coriander. A scent for every person and every season, and a full line of bath, body, and home fragrance products to layer around your home: Body lotion, hand lotion, body wash, bubble bath, candles, room sprays, and bar soap in most scents.